Tired of traditional pumpkin pie? 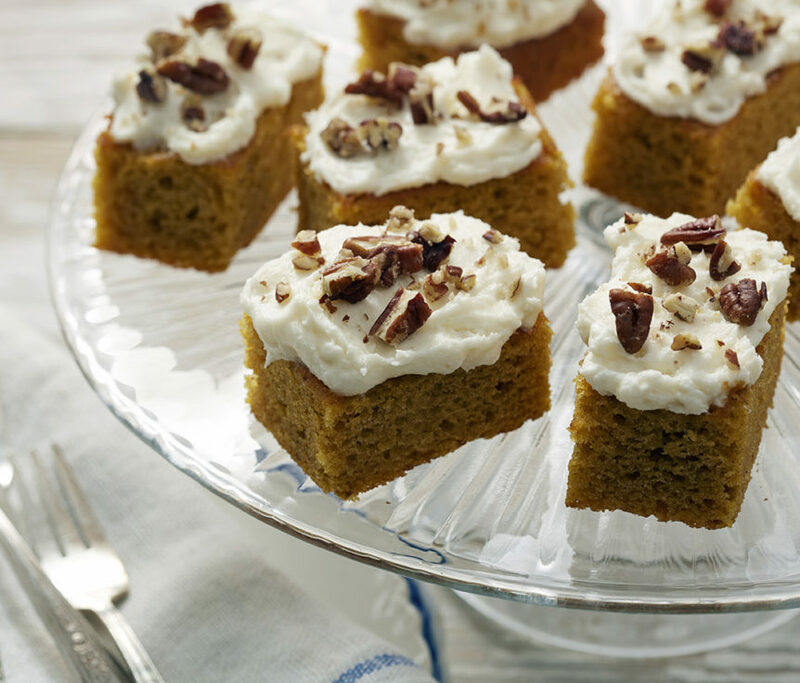 Try these delicious moist pumpkin bars, topped with cream cheese frosting and crunchy pecans! These quick and easy bars freeze well - just thaw and serve - making them an easy, take-along dessert for any gathering. Heat oven to 350 degrees Fahrenheit. Mix flour, baking powder, baking soda, cinnamon, ginger, salt and nutmeg in medium bowl. Bake in 350 degree Fahrenheit oven until wooden pick inserted in center comes out clean, 20 to 25 minutes. Cool completely in pan on wire rack. 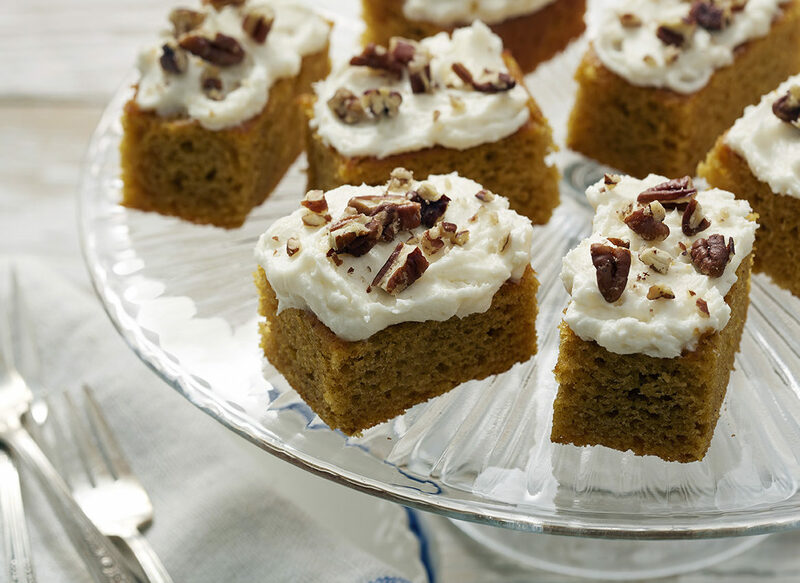 Frost pumpkin bars and garnish with pecans. Cut into 40 squares, about 2 x 2 inches each. To make cream cheese frosting, beat 8 ounces of cream cheese, 1/2 cup of unsalted butter and 1 teaspoon of vanilla in a mixer bowl until smooth. Gradually add 3 cups of powdered sugar, beating until light and fluffy.